Ulrika Mårtensson researches early Islamic history and historiography, focusing on how religious symbols express social contract theories and legal-economic issues. She is also doing research on the Qur'an, employing both historical and exegetical-legal perspectives and comparing early Islamic approaches to the Qur'an with contemporary research. Other research interests concern Islam as it is developing in the institutional contexts and public spheres of the Nordic welfare states; and 'political Islam'. 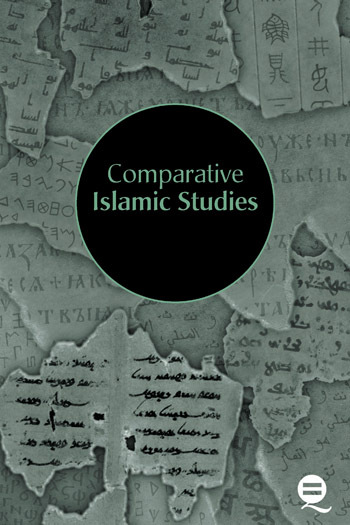 Comparative Islamic Studies aims to advance research on Islam through comparisons between Islam and other religions, and between religious and non-religious factors and disciplines. Regarding Islam and other religions, CIS extends the scope of comparisons of Islam and Islamic Scripture from the traditional focus on Judaism and Christianity to include religions of Antiquity, Africa, South- and South East Asia, China, Oceania, Europe and the Americas, as well as contemporary new religious movements, spirituality and the various types of esotericism. The Journal especially seeks studies, which compare by focusing on the interaction between religious and non-religious factors and disciplines in the selected cases. In addition to contributing to the study of Islam, this relatively unexplored approach should inspire new ways of conceptualising and writing the histories of relations between religious and non-religious knowledge disciplines and methodologies. In this way, such comparisons might contribute also to the history and theory of science (See also Author’s Guidelines).